Definition - What does Peaceful Warrior Pose mean? Peaceful warrior pose is a basic variation of the series of warrior poses that are fundamental to asana practice in many styles of yoga. 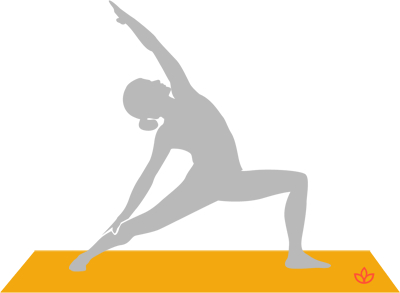 From warrior two pose, the hand of the front arm is flipped so the palm is facing skyward. Then the front arm is raised toward the sky as the torso arches toward the back leg and the back arm drops so the hand rests on the leg. The neck arches with the gaze toward the upraised hand or the sky. In Sanskrit, this pose is called shanti virabhadrasana. Yogis who suffer from ankle, knee or shoulder problems should skip peaceful warrior pose. Beginners may keep the back hand on the upper thigh. Conversely, for a deeper stretch, move the hand farther down the leg.